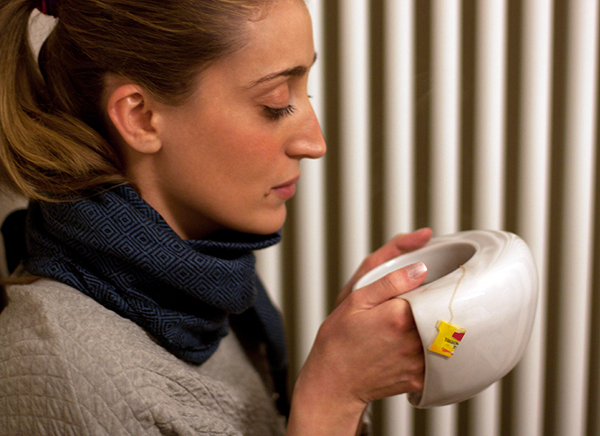 This hand warmer mug was designed to make tea and American cafe drinking even more satisfying. Featuring an enveloping and ergonomic handle, the “Toastymug” fits perfectly in the hands.Thanks its special shape, it keeps the liquid and your hands warm. Thinking for the cold winters and chilly people, it usable inside and outside home. “Toastymug” looks beautiful also on the table. This mug is handmade by craftsmen in the Ceramic District of Montelupo, a little town near Florence (Italy). Available in two vibrant colors: grey and green.